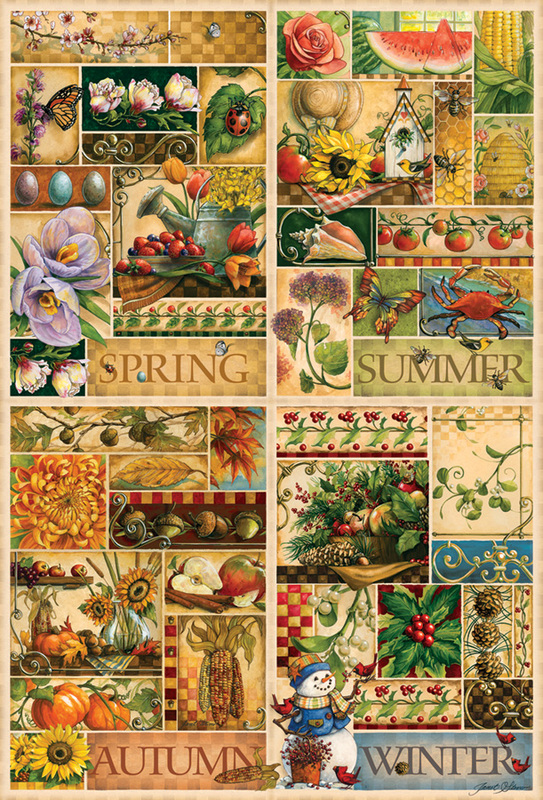 The Four Seasons are celebrated in this nostalgic 2000 piece puzzle by artist Janet Stever. This lovely puzzle reminds us of fresh cut flowers from the garden and a cornucopia of delicious fresh fruit. Case Pack 6 mix/match Width 15.875"
Item # 89004 Weight 2.50 lbs.